Toshi Cot Sheet Sets are designed to create a serene and comfortable sleep space for precious babies. The three-piece set is made with sumptuously soft 100% woven cotton and consists of a fitted sheet, flat sheet and pillowcase. Created to fit Boori cots, the measurements are W77 x L132 x H19cm. 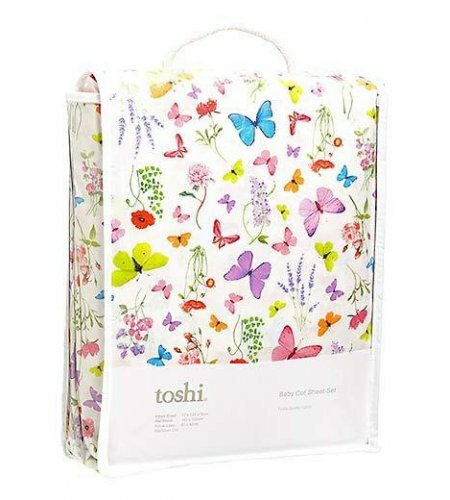 The Toshi sheet set is packaged in a quality gift carry bag. 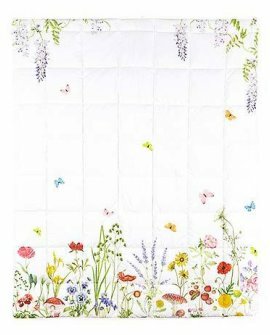 Product DescriptionThe Toshi Quilt is adorned with an original floral butterfly design and is an ide..